While you could easily find hundreds of results when searching for sushi in Middletown, NY, why not get the advice from the people who live here? The foodies at Middletown Honda are always on the hunt for the top spots in town. Whether looking for the best pizza in Monticello or the best waterfront restaurants in Newburgh, our staff know exactly where to go for a memorable meal! 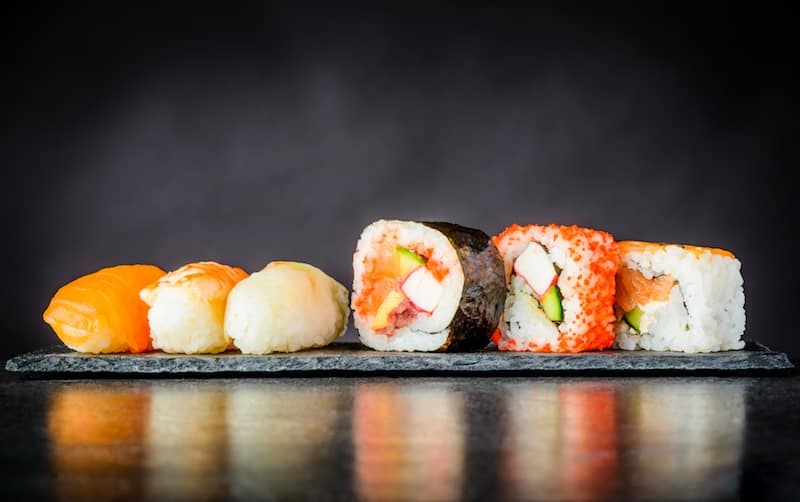 Check out our favorite sushi restaurants in Middletown, NY below! Hanami is one of our top spots for its impeccable presentation and fresh ingredients. Loyal patrons rave about the wonderful sushi and sashimi, but you can also round out your meal with starters like miso soup or spicy crab salad. If you’re looking for a little bit of everything, try out the lunch or dinner bento boxes for a sampling of Japanese cuisine favorites like tempura and gyoza. There’s truly something for everyone at Mr. Sushi & Grill. Many Middletown families adore the showmanship at the hibachi grill, while others love the innovative sushi options that the talented chefs create every day. From traditional maki rolls to totally original creations, the sushi is a fresh and flavorful indulgence that you’ll want to enjoy again and again. Local savvy shoppers know that Asian 211 Bistro is the place to be on Sundays. Why? That’s when they host an all-you-can-eat sushi buffet with seemingly endless options of gorgeous hand-rolled creations. Of course, you can also visit any day of the week to dine on tuna rolls and sumo rolls to your heart’s content. And if you want something a little different, customers also love the Thai basil and hibachi options. Blue Finn has enjoyed a long reputation as one of the best sushi restaurants in Middletown, NY – and for good reason! The customer service is always superb, and the flavor combinations always leave a memorable impression on loyal guests. Blue Finn also recently added a Korean barbecue option, so you can enjoy fresh sashimi or grilled bulgogi under the same roof! You know the best sushi restaurants in Middletown, NY, but where do you go for quality car care? Contact us at Middletown Honda for all your vehicle needs, and we’ll get you back on the road with a smile!